Mihaly Csikszentmihalyi has been collecting and analysing data on the question, “What is the good life?” since 1967. He explores issues such as the structure of everyday life, develops well-known concepts such as psychic entropy and challenge-skill ratio (CSR). 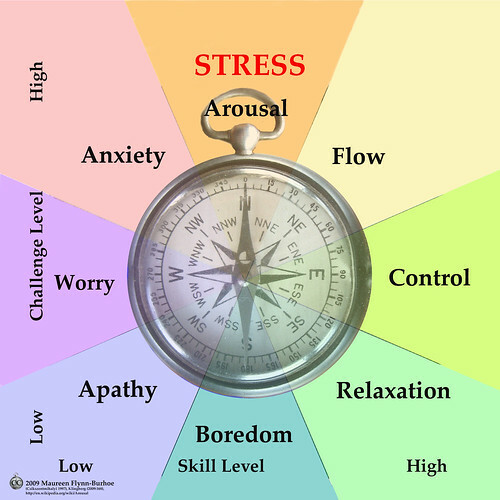 MC’s flow model and the Experience Sampling Method blend the science of pyschology and folksy-self-help (1997) He reveals that the moments of flow where an individual experiences a good challenge-skill ratio, are likely to happen at work (2000:121-123) although they can also occur when an artist is at work in her studio, or a Nintendo players is up to her game.